As a content writer for 1SEO.com, an award-winning digital marketing agency headquartered in Levittown, PA, I have written numerous pieces of search engine optimized (SEO) content that is used to help websites rank better in the search engines. Companies hire our agency to help them achieve visibility in the search engines so that they can gain more consumerism by providing customers with the information they seek. The same concept is pretty much used in the field of PR but more for advertising and promotional purposes. PR is mainly about establishing and maintaining relationships for beneficial reasons. Combining the two initiatives can produce positive marketing results. If SEO and PR went on a date together, they’d make a really great couple – and, maybe some good-looking babies. Blogs, websites, and online press releases are all virtual channels that are used to target audiences on the internet in the field of public relations. But did you know that these channels are also used for search engine optimization purposes? Put the two objectives together and you’ve got yourself a double marketing bonanza. Sure, the old-school PR methods such as the distribution of pamphlets and flyers still work, but advances in technology have generated new strategies of how public relations can successfully be initiated in the digital world. 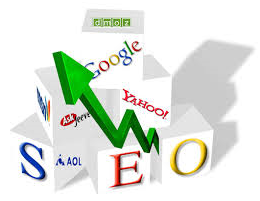 One of these strategies is conducted through the use of content search engine optimization. If I sound like I’m speaking a foreign language, read the next paragraph to form a new wrinkle in your brain. Most savvy internet junkies that grew up with the development of computers already know that search engines are digital platforms such as Google, Bing, and Yahoo. These websites find information instantly on the internet when words, questions, or phrases are typed into their query bar. The engines are designed to arrange all the webpage findings from the most informative match of terms to the least through a ranking process. Algorithms, links, keywords and quality content are all factors that help the engines decipher which websites are the most valuable and provide the best information. In short, optimization is a method used by digital marketers to elevate information to the top of the results so that users can consume it. So how does the field of public relations fit into the use of search engine optimization in content? It enhances and improves the marketing goal of the PR campaign being operated through the internet. With the instant connection to millions of online users, audiences can be targeted through quality SEO content. As long as the content is well-written, not duplicated, contains a minimal amount of keywords and has healthy links, it can assist in reaching out to an audience using SEO principles. Need to announce the 40th anniversary of a company or inform the community of a huge event? An SEO enhanced published piece of content about it can produce promotional victory – as long as it successfully shows up high in the results listing. When a user searches for a term that associates with the event or company, they’ll be able to find it. In a way, SEO content can cause the PR channel method to work backwards. Typically when it comes to public relations, an audience is targeted first and then a strategy is planned out to expose the information. But with successful search engine optimized content, the audience discovers the information on their own. Instead of introducing the information to the audience through the use of a strategized channel, the focus group comes to you by searching queries in the engines. But don’t think you’re going to be a sudden informational magnet – much work still goes into an SEO campaign to initiate an effective plan. The typical PR approach is still necessary to attract the right audience through the use of links and keywords in the content. The best thing about content in a PR SEO campaign is that it helps keep the audience engaged even after they have found the information, so that they keep coming back for more. If you are using a blog to connect with the online community, great content will encourage them to subscribe or keep checking back for new updates. A company website with quality SEO content will gain trust from new visitors, who in turn will continue to come back. It is important to mention the few drawbacks that SEO campaigns can have when it comes to public relations. One is that the digital platform has to be able to rank high in the search engine listings, or else audiences will not be able to discover it. If it doesn’t, gaining trust in the search engine rankings can be a lengthy process, but the good thing is that it is fixable. That’s where our digital marketing experts at 1SEO.com come in, since they have the skills to analyze data, diagnose issues, and develop an SEO strategy that will bring websites to the top of the rankings. In the meantime, other digital marketing strategies can help reach out to targeted audiences, such as social media tactics. As search engine optimization (SEO) evolves with the change in program updates and algorithms, the field of public relations can be adapted to use it to meet marketing objectives. 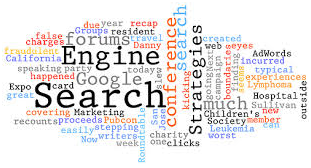 There are various advantages that PR pros can obtain from using search engine optimized content. Both certainly go hand in hand when it comes to providing information, promoting, and developing positive relationships. The internet remains an open channel for limitless communication that PR practitioners and digital marketers will use to their advantage. In a digital informational playground that delivers constant results, SEO and PR can balance out on the seesaw of internet marketing. It’s up to you whether it tips up or down. Michelle Brown is a content writer for 1SEO.com where she generates search engine optimized content such as blogs and press releases for clients. She loves that she contributes to helping both small and large businesses gain consumerism through the use of the internet. Michelle graduated from Rowan University with a degree in Writing Arts and wrote for the college newspaper, The Whit. She enjoys writing a variety of genres and loves to be creative. You can check out her writing at http://acolorofwriting.weebly.com/ and follow her on Twitter: @michelle1seo and @mybrownwords. This entry was posted in Tips & Advice and tagged Content Creation, Digital Marketing, Digital Marketing Agency, Measure, Public Relations, Results, Search Engine Marketing, Search Engine Optimization, SEO, SEO Company, SEO Public Relations by pprablog. Bookmark the permalink.